This guide briefly outlines the existing law on arbitration agreements, and then identifies and explains 12 reasons why businesses should use them. Last year, the United States Supreme Court reaffirmed its view that arbitration agreements are valid contracts and must be “rigorously enforced.” This decision means businesses can better manage their legal risk by requiring their employees and customers to enter into arbitration agreements. In this article, I briefly outline the existing law on arbitration agreements, and then I identify and explain 12 reasons why businesses should use them. Last year, in American Express Co. v. Italian Colors Restaurant, the Supreme Court confirmed what it stated in the Concepcion case. The Court made it clear that, because “arbitration is a matter of contract,” its terms must be “rigorously enforced by courts.” The plaintiffs in that case disputed a rate American Express charged merchants for accepting its cards. The plaintiffs sued and argued the rate was excessive and violated antitrust laws. The merchant agreement the plaintiffs had signed, however, stated all claims had to be arbitrated, and it prohibited collective arbitration. The plaintiffs challenged these provisions, arguing that the costs of prosecuting their individual claims (including the costs for expert witnesses) would dwarf the potential damages they might recover, thus prohibiting them from pursuing their claims. The Supreme Court disagreed. It held the FAA does not permit courts to invalidate arbitration agreements on the grounds that they do not permit class arbitration of a federal law claim, and it held that courts can never refuse to enforce arbitration waivers in scenarios were individual prosecution of claims is too expensive. Thus, arbitration agreements – even those containing class action waivers – remain valid under the FAA. The Court’s conclusions regarding the FAA and its interpretation of the FAA to favor arbitration agreements in almost instances means businesses can manage their legal risk in a more effective and predictable fashion by using clear, well-written arbitration agreements that prohibit or limit remedies customers or employees normally pursue in court, such as class actions. There are many reasons businesses should use arbitration agreements. Below are 12 reasons businesses should consider when determining whether arbitration agreements can help them reduce their legal exposure and manage their risks. A class action is a procedural vehicle used by a group of people to sue another party. A class action allows the plaintiffs to aggregate their small-dollar claims so that, collectively, the claims represent a larger potential recovery. When aggregated, the lawsuit becomes a much more profitable endeavor for a plaintiff’s attorney to take (and represent the plaintiffs) on a contingency basis. For example, a consumer who was illegally overcharged $50 on his cell phone bills will usually not be able to find an attorney to represent him because the attorney’s likely contingency fee (one-third of the $50 recovery, or $16.50) does not represent a sufficient incentive for the attorney to take the case on that basis, and it does not make financial sense to pay an attorney thousands of dollars to recover $50. Nor does it make sense for the plaintiff to pursue the claim on its own. To remedy this situation, a class action allows this consumer to find other similarly-situated consumers and band together so that their claims – when added up – represent a much larger recovery, and incentive, for an attorney to pursue with them. If 50,000 consumers banded together, their claims collectively would be worth: 50,000 x $50 = $2.5 million. One-third of that number is $825,000. An attorney is more likely to take on a case if his or her potential fee (if they win) is $825,000. Although a class action represents a benefit for plaintiffs, it creates major risks for a business. Instead of facing an individual consumer with a $50 claim, a business might now be looking at 50,000 consumers with $2.5 million in claims and an expensive lawsuit to defend. Businesses can avoid this risk by requiring their consumers to enter into arbitration agreements that waive the ability for those consumers to pursue a class action. So, in the example above, if that consumer with a $50 claim had been bound by an arbitration agreement that waived class actions, he would not be able to band together with other similarly-situated consumers. Rather, he would be limited to pursing his $50 claim individually and in arbitration (which is less costly for the business, see below). Instead of facing a multi-million-dollar class action lawsuit in the civil court system, a business can now address a small-dollar claim in arbitration that may not be pursued as vigorously and/or will likely be amenable to settlement. Unfair for consumers? Not really. A consumer’s substantive rights are not affected: he can still pursue his $50 claim. He just can’t do it on a class-wide basis. An arbitration agreement is a valid contract that the consumer agreed to enter. If he doesn’t like the prospect of waiving the right to pursue a class action, he doesn’t have to buy the business’s product or service, and, thus, enter into the arbitration agreement in the first place. In some cases, an arbitration agreement might even allow a consumer to opt out of it. Consumers are just as responsible as businesses to be aware of what they agree to and how to limit their own risks. In a civil litigation, a judge is normally randomly assigned to a case. The parties are stuck with that judge and, except in rare circumstances, have no ability to engineer the assignment of a different judge to the case. In contrast, an arbitration allows the parties to select an arbitrator. If the parties can agree on a selection, the arbitration organization will assign that arbitrator to the case. Even if the parties cannot agree on an arbitrator, they can rank their preferred choices in a list, submit that list for consideration, and the case manager assigned to the arbitration will select an arbitrator from the two lists that best reflects the preferences of the parties. Ultimately, the arbitrator chosen will better reflect the preferences of both parties than the random assignment of a judge in a traditional litigation. First, a party has an opportunity – to some extent – to control its destiny. Arbitrators (and judges), like people, have biases and prejudices. For example, if a business can select an arbitrator that views plaintiffs’ claims with some skepticism, it can increase its chances of prevailing. Second, even if selecting the arbitrator of your choice is not possible, a business can still benefit if it lists and suggests arbitrators who are capable of applying the law, no matter the circumstances. This is the approach I have taken with an opposing party in many instances: Suggest that both sides will benefit if they can agree on an arbitrator who is competent, has a backbone, and will dispassionately apply the law. This doesn’t necessarily mask my individual preference for one arbitrator or another; rather, it emphasizes that the best judge/arbitrator is one who does not consider who the parties are, but instead focuses on the proper result directed by the law. The complicated rules of procedure and evidence that apply in court proceedings do not apply in arbitrations. Even the applicable arbitration rules (i.e., AAA Commercial Arbitration Rules, etc.) do not contain the multitude of rules and restrictions included in the civil rules of procedure or evidence rules. This simplified set-up alleviates the parties of opportunities for gamesmanship, and it allows both sides to adapt the framework of the arbitration to the needs of their case. In general, the arbitration process is shorter, more streamlined, and much more efficient. For instance, the applicable arbitration rules normally do not provide for motions to dismiss or motions for summary judgment. In addition, once an arbitrator is selected, when he or she holds a preliminary conference, he or she might prohibit the parties from filing such motions as well. The absence of these measures logically dictates that the parties will not spend time and money preparing and defending such motions. In addition, the schedule of deadlines for an arbitration will normally be more compressed than a traditional civil litigation, and discovery is also usually restricted (see below). Because of the absence of dispositive motions, in that preliminary conference the arbitrator will usually set deadlines that are more compressed. It is not unheard of for an arbitrator to schedule an arbitration to be concluded within six months. Indeed, recent statistics show that, on average, it will take an arbitration just 475 days to proceed from filing to a decision. In contrast, a normal civil litigation could take 18 months to three years for the same process. The discovery process represents a major component of the expenses associated with a traditional civil litigation. The discovery process is the phase of a lawsuit where the plaintiff and defendant agree to exchange information that each side seeks that is relevant to the case. The parties use various methods for exchanging information, such as interrogatories, requests for documents, requests for admissions, requests to inspect property, third-party subpoenas, and depositions. In many cases, there are applicable rules of civil procedure or court orders that limit how many requests or interrogatories can be served, and how many depositions (or hours of depositions) can be taken. Sometimes, however, there are no limits. Even when limits do exist, they still allow a wealth of discovery to take place. I have been involved in cases where interrogatories have gotten into the hundreds, depositions have taken full days, the total number of depositions has surpassed 20, and the number of documents exchanged has exceeded hundreds of thousands of pages. This broad discovery can force a business to disclose a large amount of information it would rather withhold. In addition, the amount of time and effort for attorneys to administer this process and review and process information can cost a business a gargantuan amount of money. In an arbitration agreement, however, a business can limit the methods and scope of discovery and require that consumers or employees agree to these limits. For example, an arbitration agreement can set limits of 10 interrogatories, 15 document requests, and 20 total hours of depositions. I have seen limits that are even more restrictive that these. Moreover, an arbitration agreement can even forbid discovery altogether. The applicable rules of arbitration will also contain limits of their own. When operating under these limits, a business can dramatically reduce its attorney’s fees and costs (and its own headaches) because there are fewer (or no) discovery requests to which a business must respond, fewer (or no) depositions, and, in turn, there are fewer discovery disputes that may arise. A business can also control – to a significant extent – the amount of helpful information the other party may obtain. Jury trials are a key component of the American judicial system and a constitutional right we all share. A jury, however, can create stomach-turning stress for a business defending a lawsuit. Juries are often unpredictable, and, if a jury is composed of individuals who are sympathetic to a plaintiff, that jury may – depending on the case – award a large judgment to the plaintiff . . . and against the business. This is, again, where an arbitration agreement can help a business avoid these scenarios. A business can include in any agreement – but, for our purposes here, an arbitration agreement – a provision that requires consumers or employees to waive the right to a jury trial and requires a decision either by a judge or an arbitrator. A more compressed arbitration schedule like that described above will reduce costs because certain traditional components of litigation are removed (i.e., discovery, dispositive motions, jury selection, etc. ), and the parties have less time to spend on creating work in other areas, such as discovery disputes. A proceeding in court usually takes place in court. The formalities of a courtroom setting can be intimidating for the representatives of a business, particularly if they have to testify as witnesses. A courtroom proceeding can even be intimidating for a lawyer, especially if a certain overbearing judge is assigned to the case. In contrast, an arbitration takes place in a more informal setting. Conferences with the arbitrator usually take place by phone. The final arbitration hearing will usually take place in a large conference room. The parties, their attorneys, and the arbitrator will be seated at a table. Unlike a judge, the arbitrator will not be wearing a black robe. There will be no jury. The room itself will be much smaller than a courtroom. Finally, the atmosphere itself will be less intense (in most cases). A business litigant will likely feel more comfortable in an arbitration setting than in a courtroom. Although this difference may not represent a significant cost reduction, it may alleviate the stress and headaches associated with litigating in a courtroom. A litigation in the court system must be planned around a crowded court schedule. Trials must be planned according to the availability on the court’s case calendar. In many instances, a judge will have a designated “trial period” in each month, and trials can only be scheduled during that period. An arbitration, by contrast, is subject only to the limits of the availabilities of the individuals involved: the parties, their attorneys, and the arbitrator. An arbitrator does not have designated “trial periods,” and there is no crowded court calendar to work around. A proceeding in court will usually create scenarios in which parties will fight for every inch and dispute every issue. These scuffles generate a significant level of hostility that, unfortunately, never subsides, prevents peaceful resolutions down the road, and, in some instances, will incite the judge. In contrast, the more relaxed setting of an arbitration will diffuse these types of conflicts. Because the parties must – at the very beginning – work together to select an arbitrator and create a case schedule, they must learn to cooperate. In addition, a good arbitrator will find other opportunities for the parties to work together and even resolve the case. An arbitration agreement can include a provision that states that, in the event of a dispute, the prevailing party may recover its attorney’s fees and costs incurred in litigating that dispute. A business can rely on this provision to ensure it recovers its fees and costs incurred in an arbitration. If the business is the plaintiff, this provision will ensure that an arbitration makes economic sense if the business chooses to sue another party for damages. Arbitrations are normally private and confidential. Indeed, an arbitration agreement can make this provision clear. Unlike, a court proceeding whose docket is public (and where the requirements to make a portion or all of that docket confidential are very restrictive), an arbitration proceeding and the filings, documents, and transcripts associated with it are usually not made public. This component of an arbitration can be beneficial for a business if portions of the proceeding can create embarrassment and/or reveal confidential information (such as trade secrets). Businesses should consider these advantages of arbitrations and seek guidance on the aspects of their operations where arbitration agreements would be most helpful. Robert assists clients with business and commercial transactions, civil litigation, and complex dispute resolution. He helps businesses defend themselves when lawsuits are filed against them and prosecute their own lawsuits when they have been wronged. 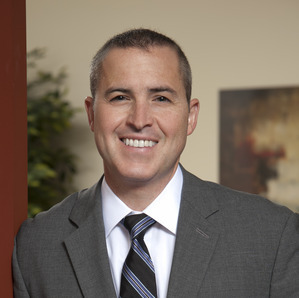 In this regard, Robert handles a wide variety of legal issues, including general commercial disputes, construction matters, class action lawsuits, real estate disputes, disputes concerning the competitive bidding process and government procurement and contracting, employment claims, and appellate litigation. Robert also assists small-to-medium size privately held businesses, venture investors, and entrepreneurs with cost effective legal solutions that address their specific business needs.